Associate Professor of Design Studies and Digital Service Design. 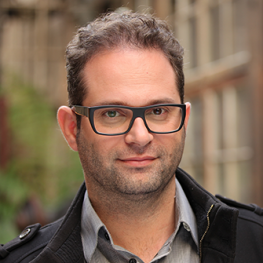 Stéphane Vial, Ph.D. in Philosophy, is an Associate Professor of Design Studies and Digital Service Design at the University of Nîmes, France. He leads the University’s design research activities as a Director of the PROJEKT Lab, a research center for design and social innovation. He is also a Co-Founder and Editor-in-Chief of French language design research journal Sciences du Design, published at Presses Universitaires de France. Stéphane Vial works at the intersection of three fields: philosophy of technology, design and communication. His research is concerned with design studies, design research methods, social design, digital media, digital social innovation, editorial design and digital publishing. As an Editor-in-Chief of Sciences du Design, he is personally involved in the design and the making of the journal, trying to experience new modes of scholarly publishing. He also serves as an Editorial Board member for several communication journals in France such as Hermès, MEI : Médiation Et Information, and Interfaces numériques. In addition to numerous articles, Stéphane Vial is the author of four books, including Le design (Paris: Presses Universitaires de France, 2015, second ed. 2017), L’être et l’écran (Paris: Presses Universitaires de France, 2013, second ed. 2017), and Court traité du design (Paris: Presses Universitaires de France, 2010, second ed. 2014). He is the co-editor of two volumes, Advancements in the Philosophy of Design co-edited with Pieter Vermaas (Dordrecht: Springer, forthcoming) and Design et innovation dans la chaîne du livre : écrire, éditer, lire à l’ère numérique co-edited with Marie-Julie Catoir-Brisson (Paris: Presses Universitaires de France, 2017). He has also guest-edited two special issues: “Design & communication” together with Prof. Bernard Darras (MEI : Médiation Et Information, 40, 2017) and “Quelles sciences du design ?” together with Prof. Alain Findeli (Sciences du Design, 01, 2015). Vial gives various courses both theoretical (lectures and seminars about theory and methods) and practical (studio teaching in digital service design, UX/UI design, web design), and is usually trying different innovative pedagogies to engage students (see for instance his recent #hnmmi class through Twitter at the Sorbonne). He has been Head of the Bachelor of Design program for 3 years (2013-2016) and inspired major contributions to its redesign. As an advisor, he supervised more than 220 Master design students for the last 12 years and he is currently supervising 2 PhD students working on research granted by major companies (Orange, EDF), on subjects such as data design or digital design for energy transition. At the University of Nîmes, Stéphane Vial has been on several governing boards and a Design Special Advisor to the President. Internationally, he served as a Vice-president of Les Ateliers de la Recherche en Design, the first worldwide network of French-speaking design researchers, and he is the founding manager of the French-speaking design research mailing-list Recherche-Design.org (950 members worldwide). Vial is also a research associate at the Semiotics of Arts and Design lab within the ACTE Institute of the Sorbonne University Paris 1. He has lectured and given keynote addresses at various universities and events, and he has served as a President of the Jury for the National Design Award of Latvia. Vial is a beneficiary of the PEDR (Prime d’Encadrement Doctoral et de Recherche) [Research and Doctoral Advisory Award], awarded nationally because of a high level research activity. Prior to the University of Nîmes, Stéphane Vial had numerous cross-disciplinary experiences, ranging from philosophy and clinical psychology to design research and digital media. Vial is originally educated as a philosopher and a psychologist. He received a PhD in Philosophy from Paris Descartes University and he holds a master’s degree in Philosophy from Jean Moulin Lyon 3 University. As a licensed psychologist, he also holds a master’s degree in Clinical psychology from Paris Diderot University and he has been for two years a part-time psychologist at the Hôpital Tenon in Paris. His first published book, Kierkegaard, écrire ou mourir (Paris: Presses Universitaires de France, 2007), was a psychobiographical essay about Søren Kierkegaard’s melancholic hypergraphia. Stéphane Vial started changing his career to design in 2005, as he was appointed philosophy teacher in Paris at the École Boulle, one of the top 6 product design schools in France. As a full-time philosophy teacher for design students, he developed a design research teaching method he called philosophy applied to design (Design Studies, 37, 2015, 59-66) and he published his first book on design, Court traité du design (Paris: Presses Universitaires de France, 2010, second ed. 2014), which has been translated into Swedish (2011), Korean (2012) and Chinese (2017). Passionate about the web, Vial started working in parallel as a free-lance web designer (he loved CSS) and later founded LEKTUM (2009-2015), a Paris-based web & graphic design studio dedicated to creatives industries, public sector and non-profit (he directed more than 30 web projects and carried out himself all steps of a web design process). As such, he has been a part-time lecturer (teaching UX/UI design) in the Interactive Multimedia Master program at the Sorbonne University (in which he still serves). Ironically, he later managed the redesign project and made the UX design of the new École Boulle official website (still online). His PhD defense happened in 2012 and his dissertation entitled The Structure of the Digital Revolution has been turned into his major book, L’être et l’écran (Paris: Presses Universitaires de France, 2013, second ed. 2017). Stéphane Vial is the author of 4 books, 2 co-edited volumes, 2 guest-edited special issues and numerous papers, lectures and talks. Here is a selected list. Vial, S. (2015), Le design, Paris, Presses Universitaires de France, “Que sais-je ?” series, no. 3991, 128 p. Foreword by Alain Findeli. Vial, S. (2013), L’être et l’écran : comment le numérique change la perception, Paris, Presses Universitaires de France, 336 p. Foreword by Pierre Lévy. Vial, S. (2010, 2014), Court traité du design, Paris, Presses Universitaires de France, 90 pages. Foreword by Mads N. Folkmann. Translated into Swedish (Stockholm, Dolhem, 2011), Korean (Séoul, HongC Communication, 2012), Chinese (Shanghai, Shanghai Bookstore Publ. House, 2017). Vial, S. (2007), Kierkegaard, écrire ou mourir, Paris, Presses Universitaires de France, “Perspectives critiques” series, 154 p.
Vermaas, P. and Vial, S. (Eds. ), Advancements in the Philosophy of Design. Dordrecht: Springer, “Design Research Foundations” series (603 pages). Vial, S. et Catoir-Brisson, M-J. (Eds.) (2017), Design et innovation dans la chaîne du livre : écrire, éditer, lire à l’ère numérique, Paris, Presses Universitaires de France (264 pages). Darras, B. et Vial, S. (eds) (2017), “Design et communication”, MEI : Médiation Et Information, n° 40, Paris, L’Harmattan. Vial, S. et Findeli, A. (eds) (2015), “Quelles sciences du design ?”, Sciences du Design, 01, May 2015, Paris, Presses Universitaires de France, 132 p.
Vial, S. (forthcoming). Ontophany Theory: Historical Phenomenology of Technology and Digital Age. In Bensaude-Vincent, B., Guchet, X., Loeve, S. (Eds. ), French Philosophy of Technology. Dordrecht: Springer. Vial, S. (2018). Towards a Philosophy of Design. In Vermaas, P. and Vial, S. (Eds), Advancements in the Philosophy of Design. Dordrecht: Springer. Vial, S. (2017). The Project, or the Specificity of Design Thinking. In Darbellay, F., Moody, Z., Lubart, T. (Eds. ), Creativity, Design Thinking and Interdisciplinarity. Dordrecht: Springer. Vial, S. (2016), “Voir et percevoir à l’ère numérique : théorie de l’ontophanie”, in Carbone, M., Bodini, J., Dalmasso, A. C. (eds) (2016), Vivre par(mi) les écrans, Dijon, Les Presses du Réel, “Perceptions” series, p. 63-85. Vial, S. (2016), “L’image numérique : du virtuel à l’ontophanie”, in Fourmentraux, J.-P. (ed. ), Digital Stories, Hermann, “Cultures numériques” series, p. 135-149. Vial, S. (2016), “La fin des frontières entre réel et virtuel : vers le monisme numérique”, in Hachour, H., Bouhaï, N., Saleh, I. (dir.) (2016), Frontières numériques et artefacts (chapter 5 ), L’Harmattan, “Local et Global” series, p. 135-146. Vial, S. (2015), “The Effect of Design: A phenomenological contribution to the quiddity of design presented in geometrical order”, Artifact, 2015, Volume III, Issue 4, p. 4.1-4.6. Vial, S. (2015), “Philosophy applied to design: A design research teaching method”, Design Studies, Volume 37, March 2015, p. 59-66. Vial, S. (2013), “Design and Creation: Outline of a Philosophy of Modelling”, Wikicreation, Institut ACTE UMR 8218 (Univ. Paris 1 Sorbonne, CNRS) / LabEx CAP. Vial, S. (2016), “Le tournant design des humanités numériques”, Revue française des sciences de l’information et de la communication, 8 | 2016, mis en ligne le 29 mars 2016. Vial, S. (2015), “Qu’est-ce que la recherche en design ? Introduction aux sciences du design”, Sciences du Design, 01, mai 2015, p. 20-34. Vial, S. (2014), “De la spécificité du projet en design : une démonstration”, Communication & Organisation, no. 46, December 2014, p. 17-32. Vial, S. (2014), “Le design, un acte de communication ?”, Hermès, n° 70, December 2014, CNRS Éditions, p. 174-180. Vial, S. (2014), “Pour introduire le ‘playsir’ : pourquoi les appareils numériques sont ‘ludogènes’”, Interfaces numériques, vol. 3/1 – 2014, p. 149-161. Vial, S. (2014), “Critique du virtuel : en finir avec le dualisme numérique”, Psychologie clinique, no. 37, 2014/1, p. 38-51. Vial, S. (2014), “Ce que le numérique change à autrui : introduction à la fabrique phénoménotechnique de l’altérité”, Hermès, n° 68, avril 2014, CNRS Éditions, p. 151-157. Vial, S. (2014), “Contre le virtuel : une déconstruction”, MEI : Médiation et information, no. 37, L’Harmattan, January 2014, p. 177-188. Vial, S. (2013), “Design et création : esquisse d’une philosophie de la modélisation”, Wikicreation : l’encyclopédie de la création et de ses usages, Institut ACTE UMR 8218 (Univ. Paris 1 Sorbonne, CNRS) / LabEx CAP. Vial, S. (2013), “Le geste de design et son effet : vers une philosophie du design”, Figures de l’art, n° 25, octobre 2013, Presses Universitaires de Pau et des pays de l’Adour, p. 93-105. Vial, S. (2012), “Qu’appelle-t-on design numérique ?”, Interfaces numériques, vol. 1/1 – 2012, éd. Lavoisier, p. 91-106. Vial, S. (2010), “Il était une fois pp7 ou la naissance d’un groupe sur l’Internet : retour sur la socialisation en ligne d’une communauté étudiante”, Réseaux, n° 164, 2010/6, p. 51-70. Catoir-Brisson, M.-J., Vial, S., Deni, M., Watkin, Th. (2016). “From the specificity of the project in design to social innovation by design: a contribution“, in: P. Lloyd & E. Bohemia, eds., Proceedings of DRS2016: Design + Research + Society – Future-Focused Thinking, Volume 6, pp. 2287-2300, DOI: 10.21606/drs.2016.143. Vial, S. (2013), “Designers and paradoxical injunctions : how designerly ways of thinking are faced with contradiction”, 5th International Congress of International Association of Societies of Design Research (IASDR), Shibaura Institute of Technology, Tokyo (Japon), 26-30 août 2013. Vial, S. (2014), “La fin des frontières numériques : vers le monisme numérique”, colloque international Frontières Numériques, Université Paris 8 & ESISA, Fès (Maroc), 18-19 novembre 2014. Vial, S. (2011), “Le processus créatif en design : à propos du travail du designer”, Les 7e Ateliers de la Recherche en Design (ARD7), Université de la Manouba, Tunis (Tunisie), 14-15-16 novembre 2011. Vial, S. (2017), « Being in the World in the Digital Age: a Phenomenology of Technology and Design », closing Keynote for the symposium “Creativity, cognition and design”, IV Congreso Iberoamericano de Filosofía de la Ciencia y la Tecnología, “Cultura científica y cultura tecnológica”, Salamanca, España, July 5, 2017. Vial, S. (2016), “Ontophany Thoery: Historical Phenomenology of Technology and the Digital Age », Delft University of Technology (TU Delft), Delft, September 26, 2016. Vial, S. (2017), « Être et naître à l’ère numérique », séminaire GSICA du laboratoire LLSETI et du master Création Numérique, Université Savoie Mont Blanc, Chambéry, 13 avril 2017. Vial, S. (2017), « Percevoir à l’ère numérique : de l’écran à l’écrit », École de design de l’Université Laval, Québec city, Canada, 14 février 2017. Vial, S. (2017), « Percevoir à l’ère numérique : une approche phénoménologique », ALN/NT2 Chaire de recherche du Canada sur les arts et les littératures numériques et Laboratoire de recherche sur les œuvres hypermédiatiques, groupe de recherche « Archiver le présent », Université du Québec à Montréal, Montréal, Canada, 9 février 2017. Vial, S. (2016), “Le selfie, une autophanie”, Eg/o/nline : le selfie, journée d’étude sous la direction d’Agathe Lichtenzstein et François Soulages, Université Paris 8, 18 octobre 2016. Vial, S. (2016), “Reconception de la conception : la pensée-design aujourd’hui”, conférence plénière au colloque La conception d’un artefact: approches ergonomiques et didactiques, Haute école pédagogique du canton de Vaud, Lausanne, 6-7 octobre 2016. Vial, S. (2016), “De l’écran à l’écrit”, conférence d’ouverture (Keynote Speaker) au 7e colloque ÉcriTech’ « Le numérique : pratiques d’écriture nouvelles et plurielles », Université de Nice Sophia-Antipolis, Nice, 18-19 mai 2016. Vial, S. (2016), “Percevoir à l’ère numérique”, colloque La figure au temps du numérique : soi, moi, self, l’autre ?, Galerie Duchamp, Yvetôt, 14 mai 2016. Vial, S. (2015), “L’originalité épistémologique du design”, conférence au 10e colloque des Ateliers de la Recherche en Design (ARD 10), École de design de la Faculté d’aménagement, Université de Montréal, Montréal (Canada), 21-24 octobre 2015. Vial, S. (2015), “Naî(ê)tre au monde à l’ère numérique”, conférence d’ouverture (Keynote Speaker) au 5e colloque Échanger Pour Apprendre en Ligne (EPAL), Université Stendhal-Grenoble 3, Grenoble (France), 5 juin 2015. 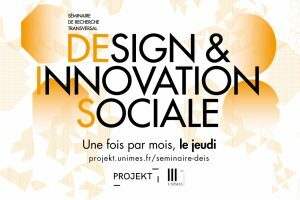 Vial, S. (2015), “D’un savoir du design : l’originalité épistémologique du design”, colloque Le design : une nouvelle culture ?, Université d’Angers, Angers, 26-27 janvier 2015. 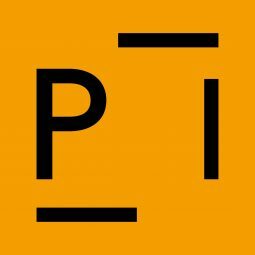 Vial, S. (2013), “Contre la dissolution du design dans l’art contemporain : défense et illustration du geste de design”, Le design dans l’art contemporain, CAPC/Musée d’Aquitaine/Cap sciences, Université de Bordeaux 3, Bordeaux, 21-22-23 novembre 2013. Vial, S. (2014), “What is called ‘Social Design’?”, 5th STS Italia Conference A Matter of Design : Making Society through Science and Technology, Politecnico di Milano, Milan (Italie), 12-14 juin 2014. Stimler, N. et Vial, S. (2014), “Digital monism : our mode of being at the nexus of life, digital media and art”, Theorizing the Web 2014 (TtW14), New York (États-Unis), 26 avril 2014. Vial, S. (2013), “Digital revolution as a phenomenological revolution : introduction to digital ‘ontophany’ ”, SPT 2013 – Technology in the Age of Information, 18th International Conference of the Society for Philosophy and Technology ISEG, Technical University of Lisbon, Lisbonne (Portugal), 4-6 juillet 2013. Vial, S. (2013), “There is no difference between the ‘real’ and the ‘virtual’ : a brief phenomenology of digital revolution”, Theorizing the Web 2013 (TtW13), The Graduate Center, City University of New York (CUNY), New York (États-Unis), 1-2 mars 2013. Vial, S. (2016), « Pédagogie du design, design de la pédagogie », Journée Recherche de l’ESPE-LR, Faculté d’Éducation de Montpellier, 2 décembre 2016. Vial, S. (2015), “Le geste d’écrire à l’ère numérique : performation et ontophanie de l’écriture”, La Science du Mot, Department of French, University of Victoria, Victoria (Canada), 16-17 octobre 2015. Vial, S. et Rinato Y. (2015), “2DH, Design & Digital Humanities : le design comme méthode pour les Humanités Numériques ?”, THAT Camp Paris 2015, Paris (France), 9 juin 2015. Vial, S. (2014), “Qu’est-ce qu’écouter ? Ontophanie et design de l’attention à l’ère numérique”, colloque 9e Journées du e-learning, Université Jean Moulin Lyon 3, Lyon, 26 juin 2014. Vial, S. (2014), “La participation pour la démocratie : Internet, la désintermédiation et les techniques du politique”, 82e Congrès de l’ACFAS Montréal, colloque La participation contre la démocratie, 7e colloque sur la participation des citoyens, Université Concordia, Montréal (Canada), 15 mai 2014. Vial, S. (2012), “Pour introduire le ‘playsir’ : pourquoi les appareils numériques sont ‘ludogènes’”, colloque Jeu et Jouabilité à l’ère Numérique, Université Paris 1 Panthéon-Sorbonne, Institut ACTE UMR 8218, Paris, 8 décembre 2012. Vial S. (2012), “La philosophie de la technologie à l’heure du design : vers une nouvelle culture de recherche ?”, séminaire Imaginaires, technologies, sociétés, ETOS/CERSES/ESAD/INSIEE, festival SIANA, Évry, 11 mai 2012. Vial, S. (2012), “De l’accélération du temps à l’heure de la révolution numérique : nature et formes de la temporalité technique”, colloque Penser, vivre et dire le temps, journée d’étude pluridisciplinaire organisée par l’atelier des doctorants de l’École Doctorale 180, Université Paris Descartes, Paris, 12 avril 2012. Vial, S. (2011), “La part du désir et du rêve dans l’innovation”, colloque Innovation et design numérique, École de Design Nantes Atlantique (EDNA) et Observatoire des Mondes Numériques en Sciences Humaines (OMNSH), Nantes, 18 octobre 2011. Vial, S. (2011), “Du design au design numérique : petites inquiétudes théoriques”, colloque L’imaginaire de la technologie, festival SIANA, Évry, 12 mai 2011. Vial, S. (2010), “L’idée de design numérique : approche critique”, journée d’étude PraTIC sur le thème Design numérique : discours et réalités, Gobelins/ École de l’image, Université Paris 8 & Observatoire des Mondes Numériques en Sciences Humaines (OMNSH), Paris, 1er juin 2010. Vial, S. (2015), “Revue des revues de recherche scientifique en design”, Sciences du Design, 01, mai 2015, Supplément, p. 118-125. Stéphane Vial can be joined on all major social media.